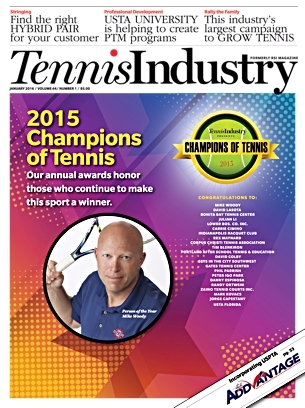 Read about the other 2015 Tennis Industry Magazine's "Champions of Tennis"
A big key to getting people playing tennis today is that time spent on court can't just be a night of instruction or formal play. That format is soooooo yesterday! Tennis today for younger players isn't about expecting someone to show up, bang a few balls, then get in their car and drive home. Not if the goal is to actually have them come back ever again. It's about making and creating a memorable, social tennis experience each night for participants, one that makes them beg to want to return. Creating that alternative and that experience was the overriding inspiration for the formation of Sets in the City Southwest, a millennials-age focused (18-39 years old), weekly co-ed league in Phoenix, Tucson, El Paso and Albuquerque that "set" about to break the rules of what traditional team tennis could be. It's been one of the best examples nationally of how to reach out to younger players. The program has experimented with shortened time formats that emphasize co-ed play, a variety of themed and costumed nights, "setsy" pun-filled team names, high-energy music on site from deejays, and anything and everything imaginable to keep the atmosphere light, loose and ever-changing. The coup de grace each night has been the after- hours aspect, usually held at some type of tavern or bar near the host facility where everyone can decompress, relax and, of course, talk about tennis and be with their tennis friends even more. "In the past year or so, more than 60 social tennis leagues have sprung up in cities all across the country," said Marilyn Sherman, USTA National Promotions Manager, Adult Tennis. "Sets in the City Southwest is doing it right and doing it with a social focus. These programs are often delivered in tongue-in-cheek style, that suggests everyone is invited to play, regardless of skill or experience level." 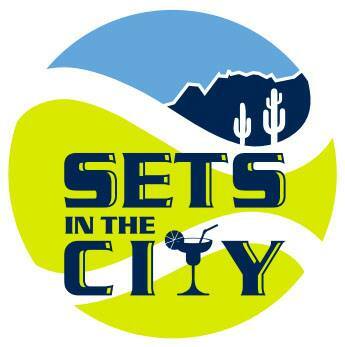 Sets in the City Southwest is following that cue to a (service) t.
Up from 40 participants and a single site in the first season in Phoenix in 2014, Sets in the City has since expanded to four Southwest cities and had over 500 players competing. Numerous friendships (and even a few romances) have been forged or solidified through the program, and host facilities have found an uptick in their businesses from younger participants seeking extra clinics and play opportunities outside of Sets in the City. Fun partners like Rehab Burger Therapy, a burger joint and bar in Old Town Scottsdale, have been key to the program's success as well, as they've helped set the after-hours tone, and have provided steep discounts and fun prizes and t-shirts to participants who come out after the tennis is over. 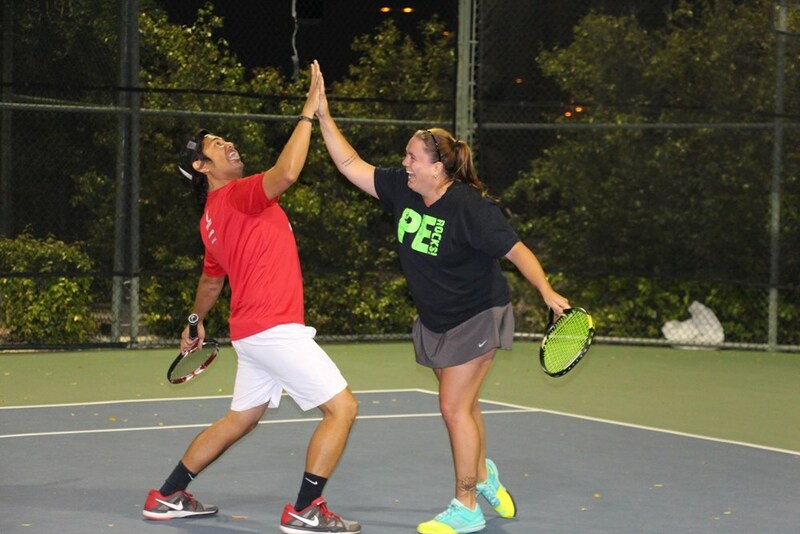 "'Sets' has been key to getting some of our just-graduated-from-college Tennis on Campus players and young professionals back into tennis, or, just helping them stick with it," says Sets in the City Southwest co-creator and USTA Southwest staff member Laura Stussie. "We really just try to make it as fun and social as possible. That's really our thought process every night we play, 'how do we make this unique and fun?'" Best of all for USTA Southwest, these players are also jumping to traditional USTA Leagues and tournaments to round out their playing schedules. This age group had been underrepresented in the adult pathway of play previously, and Sets in the City has helped fill those leagues with those much sought after young players. Older age divisions in the Southwest have heard about the fun the millennials were having with Sets in the City, and are clamoring for similar social-focused programs for their own age groups. Leagues have already formed in two markets with 40 & Over Sets in the City, with more plans for expansion. After all, everyone loves a good party... especially if good tennis is thrown in, too. To learn more about Sets in the City programs in the Southwest, visit www.setsinthecitysouthwest.com or check them out on Facebook.